I recently checked out a website called TheHomeScholar after seeing this name on my Twitter List. Lots of wonderful information on homeschooling during High School! I corresponded with Lee Binz, author and proprietor of the site, and was greatly surprised with the quickness and personalness of her responses to my several questions. I would like to share some of the articles that Lee and her husband Matt have written from time to time. The 2004 Pixar film The Incredibles poses the intriguing question: “What would happen if superheroes lived among us as normal citizens?” In this film, a couple of former s uperheroes, Mr. Incredible and Elasti-girl, marry and then, as a result of a class-action lawsuit against all superheroes, are forced deep undercover using the alter-egos, Bob and Helen Parr. The movie explores how this true “power couple” deals with suppressing their superpowers in order to live a “normal” life. As a homeschooling father, one of the most intriguing aspects of this film is how Bob and Helen deal with their children, two of whom have nascent superpowers. The aptly named son, Dash has super-speed. His older sister, Violet, has the ability to disappear and cast force fields. The baby of the family, Jack-Jack, has not displayed any super-powers and the family is slowly accepting that he is, perhaps, not “super” at all. Like many of the Pixar films, there are some profound lessons just under the surface waiting to be discovered. The Incredibles has much to teach us concerning raising our children, specifically, how to nurture and develop the “super-abilities” that lie dormant within each of them. That’s right — each of them. I firmly believe that each of our children is a budding “superhero” waiting to be discovered and developed. Their abilities are likely not as dramatic as our fictional friends, but that does not diminish the potential of each of our kids to change the world in their own way. The goal of this series of articles is to provide some insights on how to grow our children from undiscovered Jack-Jacks, to full-blown Mr. Incredibles and Elasti-girls. Baby Jack-Jack is a mystery. His parents must realize that he has to be “special” – he has the right DNA – but yet he displays no superpowers. There is absolutely nothing mom and dad can do to force superpowers into him. All they can do is wait and watch. That is one of our primary roles as homeschooling parents. Gifts are discovered, not created. We need to be students of our students in order to discover the secrets that lie deep within. 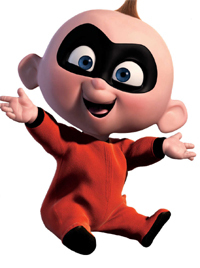 Eventually, Jack-Jack’s superpower is hilariously revealed to an unsuspecting babysitter. Similarly, you also may be surprised at the gifts displayed by your children. Even the most normal kids will often reveal themselves as “super” in one or more areas of their life. In our family, our kid’s gifts revealed themselves in areas that neither Lee nor I would ever have imagined. Our oldest son exhibited a sudden and profound talent in Chess when he was fourteen years old. Chess was something I taught my kids when they were five and seven. “Taught” in the loosest sense of the word – just how the pieces move. This lesson lay dormant in my eldest for years. For his fourteenth birthday, Kevin requested a chess book. I looked at him as if he had requested Adam Smith’s Wealth of Nations. I was clueless where this desire came from. None of our ancestors played chess and we had not spoken of it for years. On his birthday he received lots of presents, but only one made it back to his room that day: Play Winning Chess by Yasser Seirawan. Kevin emerged from his room about two weeks later and proclaimed: “I’m ready to play in a tournament.” Before I acceded to this, I told him he would have to beat me first. I detected the slightest trace of a smile on his face as he quickly ripped my position apart and stomped enthusiastically on my King. After that, I was quite willing to let him pick on someone more his intellectual size, so off to a chess tournament we went. The tournament director looked at me with disdain. He was convinced that I was one of those parents that pushed my children to hide my own shortcomings. A few minutes of interrogation, however, convinced him that chess was probably the least likely place I would choose to bolster my self-esteem. I was utterly lost. Kevin, however, felt right at home. He ripped through a series of adult opponents with enthusiasm normally reserved for a box of Krispy Kremes. He left his first tournament with a provisional rating that placed him among the elite of Washington State high school chess players, almost all of whom had professional coaches and had been playing competitively for years. Lee and I spent the next four years feeding him chess books and driving him to tournaments. 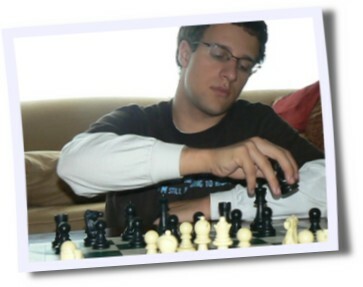 He finished his high school chess career in 2006 by finishing second in state. Not bad for a late starting, self-taught chess player with no documented chess DNA. A couple of years after the surprise birthday request of my eldest, my youngest son did, in fact, ask me for Adam Smith’s Wealth of Nations. Again, Lee and I never saw it coming. I hated economics. Lee actually failed economics in college. Both of us were nonplussed at this request. Wealth of Nations was followed by Democracy in America and various other ancient tomes on political economics and philosophy. We learned not to ask too many “why” questions and just fork over the books. We figured it was a good investment. That is exactly the way it turned out. For reasons known only to God, my youngest son had “caught fire” with economics. This led to amazing opportunities for him with scholarships, fellowships and meaningful employment. None of which would have been possible if we had attempted to force his passion into areas where we, his parents, felt more comfortable. Such is the nature of children and superheroes. Who they are and what they become may not be what you think. It may not even be in the realm of imagination. In fact, with Kevin and Alex, the only way it made any sense at all was in retrospect. Kevin had always been quiet and analytical as a child so, now, chess seems a somewhat logical source of his enchantment. Alex was always our little academic, so philosophy made some sense in hindsight. We still, however, scratch our heads about economics. The message: be students of your students. Observe their passions. Don’t be too skeptical or try to force them to love what you love. They are individuals and will spend their lives striving to become who God intended them to be. You play a critical role in shaping and guiding, but not in defining or forcing. Some of your children may exhibit “superpowers” in chess, math, economics and philosophy. Others will flex their muscles in sports, writing, dance or music. In Lee’s work, she has encountered children who demonstrate leadership in areas as diverse as acting, mycology and fiddling. The first step in raising your own superheroes is to discover where their super-powers reside. It will require your most focused attention, and will frequently demand that most elusive of all superpowers: patience. Your superheroes are counting on you! Lee Binz and her husband Matt operate The HomeScholar. If you liked this article, you’ll love their free monthly newsletter! Sign up for The HomeScholar Record and get great homeschooling high school hints, tips and advice delivered to your inbox each month. And for great advice on how to put together a homeschool transcript that colleges will love, try Lee’s ebook, The Easy Truth About Homeschool Transcripts!